Arsenal midfielder Aaron Ramsey will leave the Emirates Stadium at the end of this season as he has signed a pre-contract with Juventus. Aaron Ramsey has signed a pre-contract with Italian side Juventus and the Welshman will be unveiled as their player on July 1st, 2019. Juventus will however make an announcement which will confirm that Aaron Ramsey joins them in the summer after agreeing a deal that will see him earn £400k a week wages. Aaron Ramsey has been at the Emirates Stadium for 11 years and during this time, he has helped them win three FA Cups but the Arsenal fans will finally say goodbye to him at the end of this season. BBC journalist David Ornstein has confirmed that Aaron Ramsey has signed a deal with Juventus that will see him earn £400k a week wages. The gunners were ready to offer him a new deal that was going to see him get 170k a week wages but out of the blue, the club decided to withdraw this offer even though some reports claim that he was about to accept it since Arsenal is very special to him. 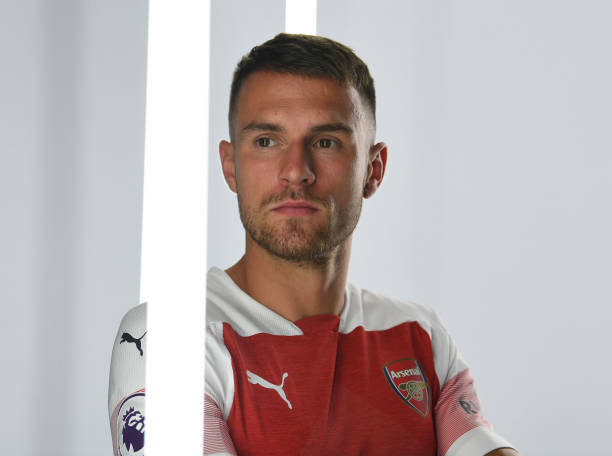 Aaron Ramsey is a fan favourite at the Emirates Stadium and this news is going to raise questions on how the gunners are being run because they are letting go of one their best players on a free transfer. Arsenal fans will at least feel happy for Aaron Ramsey because he has got himself a great deal and he isn’t joining a direct rival like how Alexis Sanchez supposedly betrayed them when he joined Manchester United in the 2018 January transfer window. It’s going to be interesting to see how Unai Emery is going to build his team in the summer since for now, it’s confirmed Aaron Ramsey will leave and Mesut Ozil could also leave in the next transfer window.